Today is the Sunday following the celebration of Jesus Resurrection. The entire story is a good read for every day to remind us of God’s love. Jesus gave His life during Pass Over. God did not make a mistake giving us His beloved son to die. God loved this world and its people. Three days later Jesus was raised from the dead. 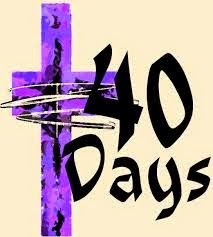 The next forty days were spent in revealing Himself to his disciples and many others. We wonder just what Jesus taught during those days. Perhaps He explained the Jewish Feasts and how they pertained to him and the Kingdom of God. Pastor Allan was reading from John 21:15-25 where Jesus began to restore Peter’s confidence. Three times Jesus asked the question, “Do you love me?” When Peter answered, “Yes, I love you,” Jesus told him to Feed my Lambs, Feed my Sheep and again Feed my Sheep. Much more can be said about this dialogue, but in essence, Jesus was telling Peter, that he was forgiven and to take this assignment and run with it. How many times do we feel that we have failed or could have done better? We are not perfect, yet Jesus through his death and resurrection has made us perfect. Peter knew he was not worthy, but Jesus was calling and restoring Peter. We also can use those 40 days to get closer to God. He will restore those who have lost faith, were afraid and ran to hide. Peter became flustered and asked Jesus, “What about him?” Jesus kindly answered, “What is that to you?” He was saying don’t worry about your neighbor, but worry about yourself. It is easy to get caught up in our daily business, and it is not wrong to pray for others, but do not allow your concern to prevail over your own closeness and walk with Jesus. People do not see the entire preliminary steps needed to reach that deep walk with God. We are called to a higher standard of living; a higher way. We are in revival. In our city, souls are being saved and set free and generational curses are being broken. We are sent to do His work, and we must step up and be available. Do you realize we are in Harvest season in this city? Many have prayed for years for God to visit this town, and guess what? God can use the foolish and unlearned ragamuffins to accomplish his plans. I Corinthians 1:26-30 Not many wise are called. God will use the despised for His purpose. Many churches look down upon some of our Pastors with a past, but God is in the resurrection business and makes everything new. 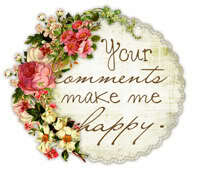 Don’t allow your insecurity to dictate to your critical spirit, when you view others worshipping in freedom. 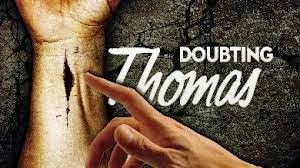 Thomas was a person that needed facts and proof. He wanted to touch and feel before he would believe. Jesus said, "Blessed are those who have not seen, yet they believe." Love the lost sheep (humans) and make disciples, the church is not exclusive. The call is out to "Who-so-ever may come." The harvest is often in the undesirable, needy people out there - waiting to hear the good news; "Today is your resurrection day." All I can count on is that He will forgive me and use me. I ain't a perfect worker, often, but I truly want to be. Thanks for sharing. Yep. The willfully ignorant rely on the theories of mere lost men… Odd how they refuse to believe the eyewitnesses of the Resurrection that from a secular is more provable than any other document ever written. The gift of free will. Father, Son, and Holy Bible??? What Prevents the Power from God?